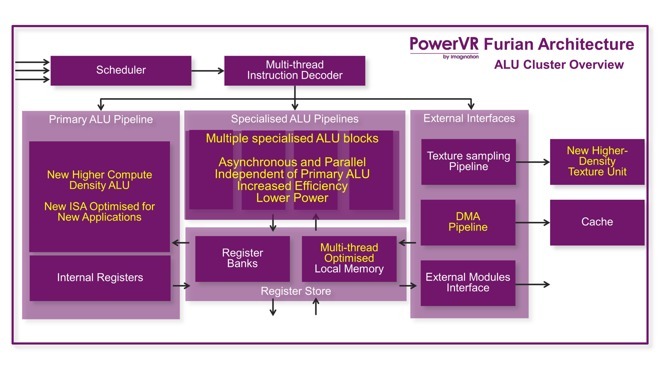 Apple partner Imagination Technologies on Wednesday unveiled PowerVR Furian, its next-generation mobile graphics processing architecture likely to be a key part of future iPhones, and also the first new GPU architecture since 2010. 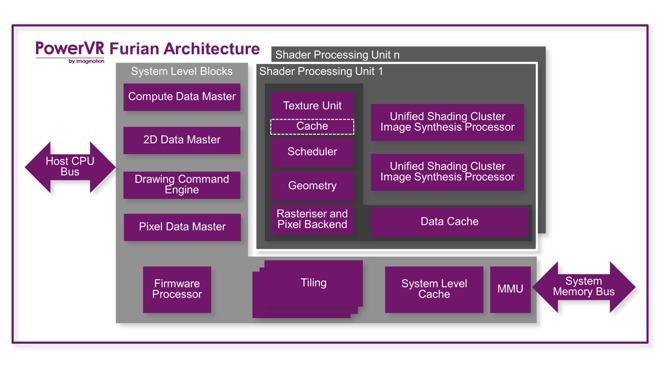 Utilizing sub-14-nanometer process technologies, Furian will be the successor to the current PowerVR Rogue architecture, most recently found in Apple's flagship iPhone 7 series. Imagination says Furian will deliver more power than Rogue while being even more power efficient. Compared to the Series7XT Plus GPUs, Furian will boast 35 percent GFLOPS density improvement, 80 percent fillrate density improvement for user interface and casual gaming, and 70 to 90 percent gaming density improvement. Though the first GPU core variants based on Furian will be announced in mid-2017, products featuring the next-generation GPU will take some time to build. Imagination says the first Furian GPUs could hit the market by the end of 2018 —by which point Apple could build an "A12" processor for that year's iPhone. 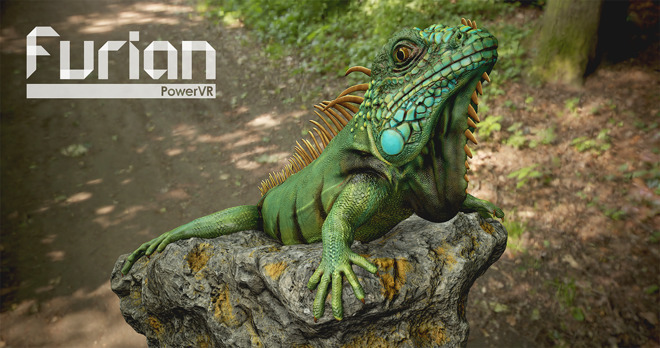 Imagination says the Furian architecture will better serve applications such as virtual reality, augmented reality, and "convertible" style devices that can perform in multiple form factors. Furian will feature a new 32-wide ALU cluster designed for increased performance and density efficiency. It will also boast a new instruction set architecture in the primary and secondary ALU pipelines to enable improved utilization of resources. GPU compute: Furian is designed to address the increasing compute requirements across multiple applications and market segments with efficient use of compute APIs including OpenCL 2.0, Vulkan 1.0 and OpenVX 1.1. Furian adds a bi-directional GPU/CPU coherent interface for efficient sharing of data; and a transition to user mode queues from kernel mode queues which reduces latency and CPU utilization for compute operations. Currently, the iPhone 7 GPU is based on Imagination's PowerVR GT7600 Rogue architecture. Apple has used Imagination's graphics in its custom A-series CPUs for years, and the iPhone maker even flirted with acquiring the company before ultimately declining. Apple still does, however, own a 10 percent stake in Imagination. Rather than embracing Furian, it's also possible that Apple could ditch Imagination. At least 25 staffers and management personnel from Imagination have jumped ship to Apple, leading some to believe that Apple could be looking to build its own custom GPUs. Editor's note: A previous version of this story said Apple hired 25 employees away from Imagination late last year. Imagination later clarified the personnel moves took place over a two-year period.